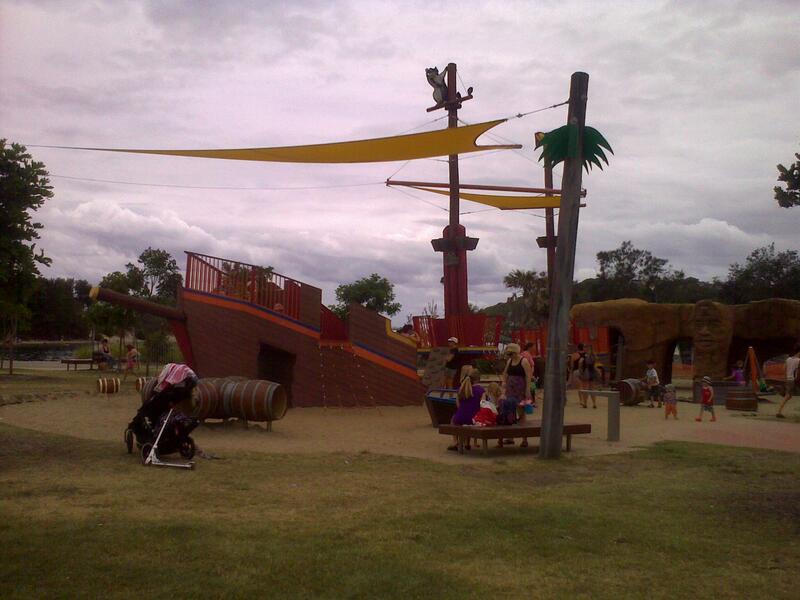 This morning’s park adventure was at the Pirate Park on the Gold Coast Highway at Palm Beach. You can’t miss it – it has a big pirate boat with an enormous yellow sail shade (with a skull and cross-bones on it). Parking is almost always full. I am not sure why I decided to go there on a Saturday morning, even before 9am the parking was a bit of a nightmare, but I got lucky this morning. Close enough to get the bikes out without walking too far. This morning I had only 2 four-year-olds with me. How nice it was to supervise only 2 children and no babies! 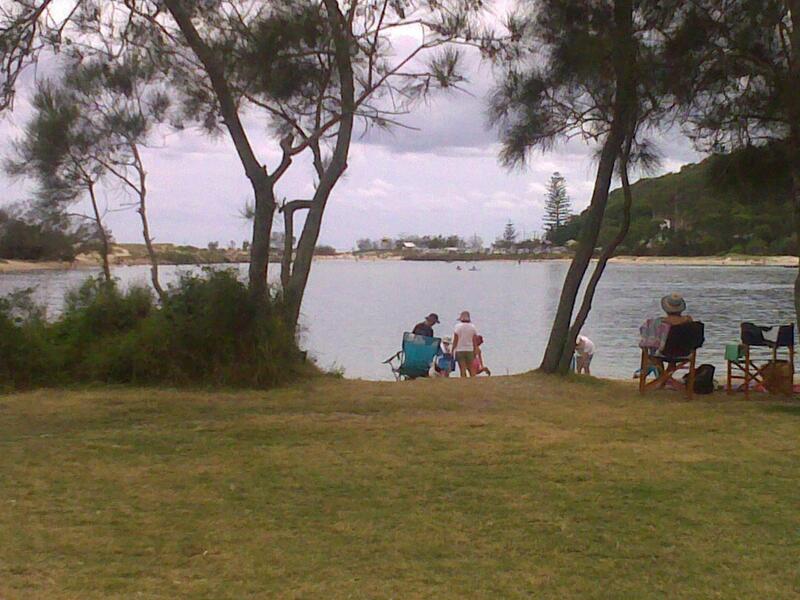 They took off on their bikes on the path through the scrub on to the right of the park, past the toilets – a really lovely loop that takes you to the edge of the Currumbin Creek, and then around and back to the lagoon. 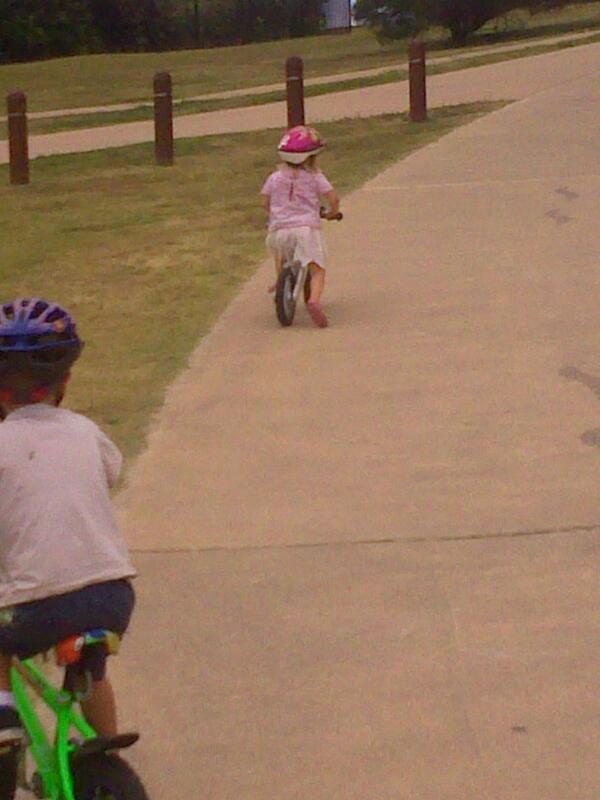 It is great exercise, power walking along behind kids on bikes … I wanted them to go around the loop again because I was just getting into the exercise-induced flow of happy hormones! But they weren’t keen, so we went back for a play on the park. The best thing about having only two children with me was that I could actually relax! They didn’t want me to play with them this morning (and I was ok with that!) so I set myself up in the shade with my knitting and only had to look up every now and then to make sure I could still count two familiar hats amongst all the kids in the park. Everybody wins 🙂 Before we went home we took the bikes on the path that leads around to the surf beach, and then back past the coffee shop (very convenient for those who cannot do playground duty without the aid of caffeine!). blood sugar a bit low by this point - riding in a straight line was challenging. 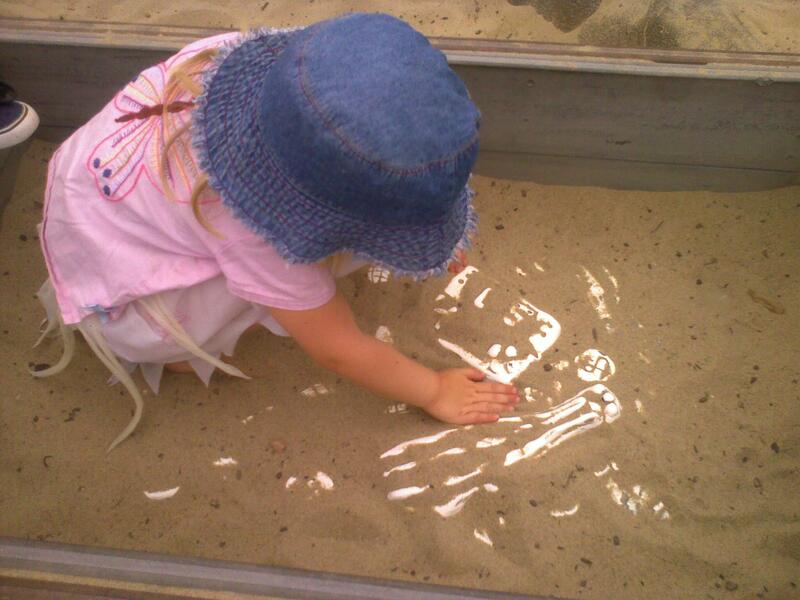 digging for treasure, and finding bones! There is a shade sail over the playground, but to my mind it isn’t enough. There are a few covered picnic tables … but I’d really like to see a few more shady places.I realised that I’ve mostly been to this park on overcast days, and in summer hats and suncream are still necessary but in the bright sun it is a scorcher. This morning was lovely though, and enough of a recharge to help me stay positive through the meltdown I can see coming from one of my children this afternoon!! I’m seeing the signs! ← Celebrating Thriftiness: How to Hide a Stain in a Nice Shirt!